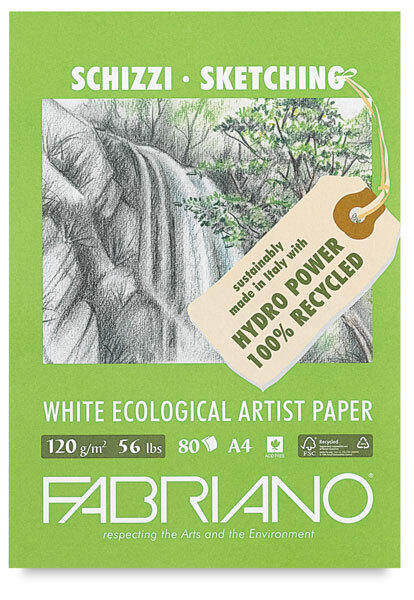 Each pad contains 100% recycled paper from 100% post-consumer fiber. Over 50% of the energy used to produce the pads comes from hydroelectric sources. One tree is saved for every 80 pads produced! 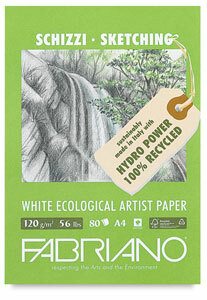 The bright white, 120 gsm (56 lb) sketch paper is acid-free and features a cold-pressed surface. The paper is internally sized. These pads are great for practicing techniques and planning drawings. They're well suited for work with pencil, charcoal, pastel, and ink.